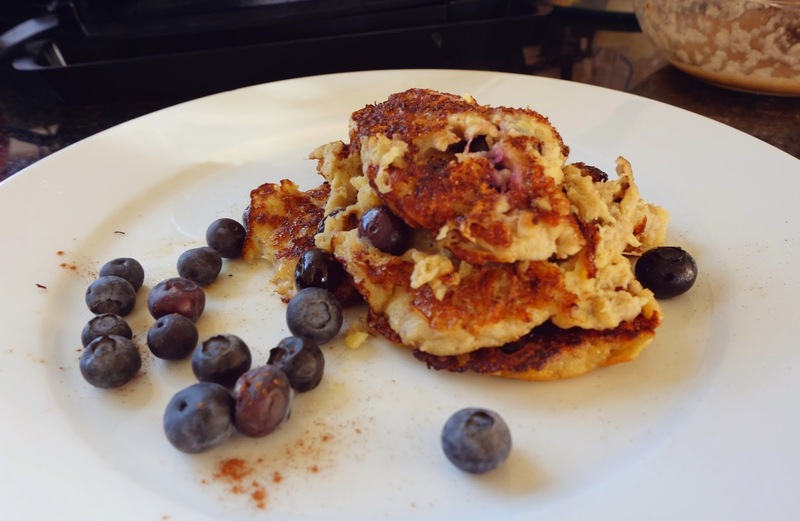 As it's Pancake Tuesday tomorrow I thought I'd share with you all today, my much loved healthy option pancakes. I first discovered this recipe about two years ago and they're still as yummy as ever! 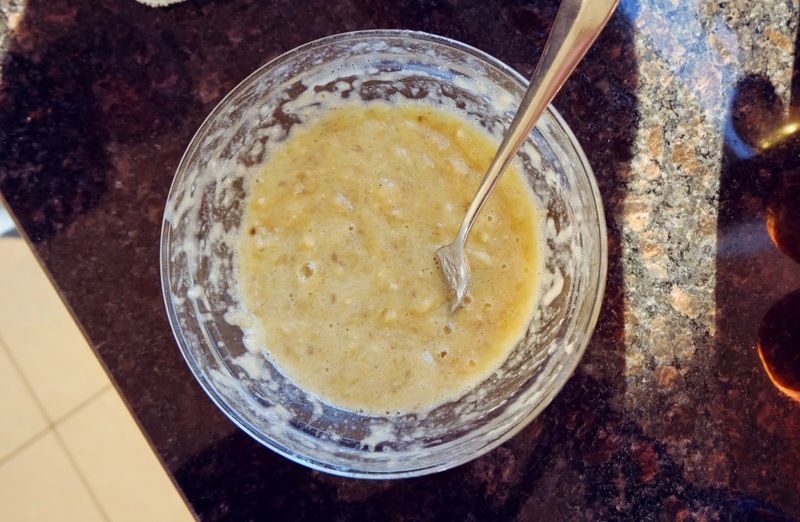 First you will need to mash up your bananas in a bowl using a fork, and when they are as smooth as possible, beat in the egg with your fork. Then mix in your cinnamon and baking powder. 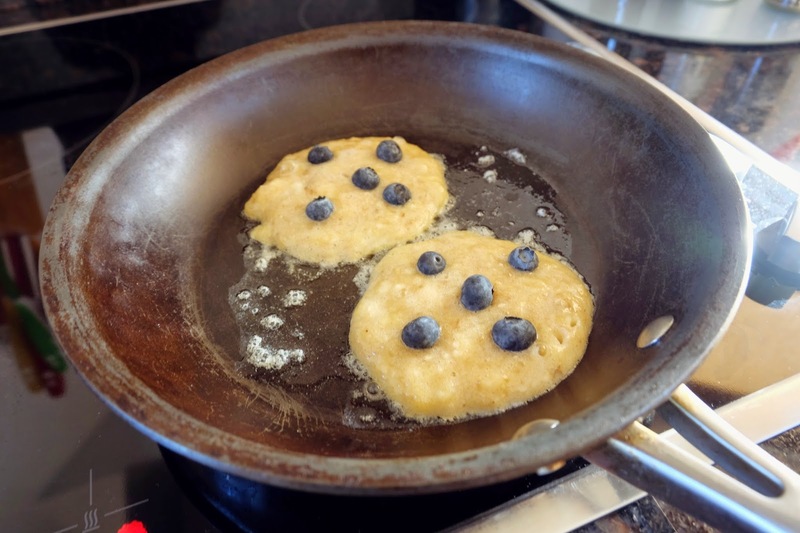 Heat a frying pan with some low cal spray oil and pour out pancake sized puddles and top them with blueberries. Cook on a medium heat until there are bubbles on the top then flip them over and let the other side cook. And here's the finished product! I have never mastered the art of keeping my pancakes in their uniform shape, mine seem to always fall apart but they taste too good to care! 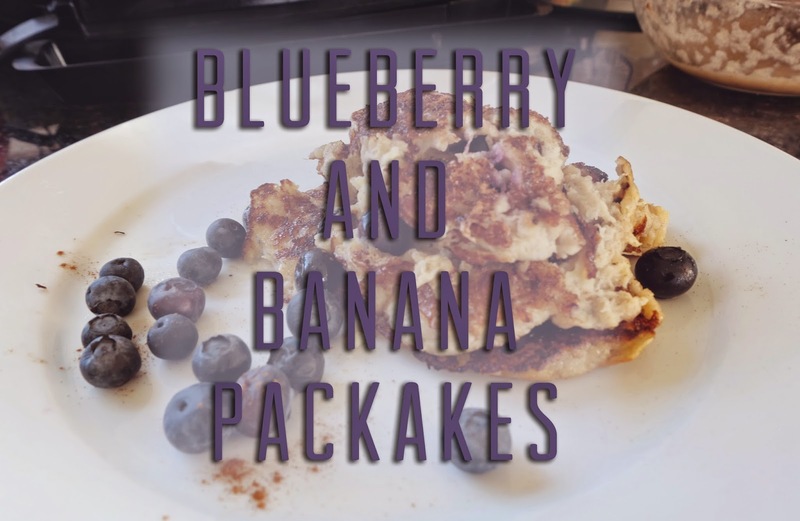 Let me know if you try out this recipe tomorrow and I hope you enjoyed this post! Thanks for reading!